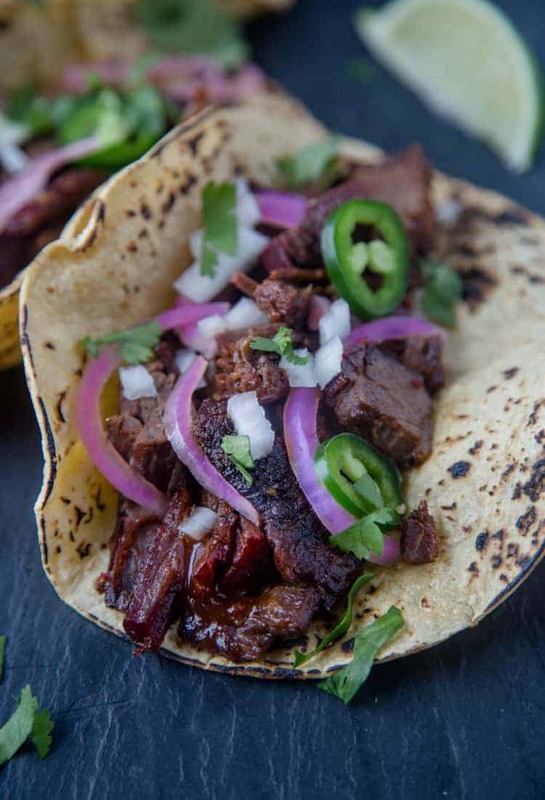 Brisket Tacos are an excellent use for any leftover brisket, smoked brisket or not. 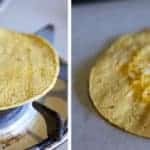 This easy taco recipe will be one you will come back for over and over and…. We find ourselves with another overload of smoked brisket leftovers. It happens. 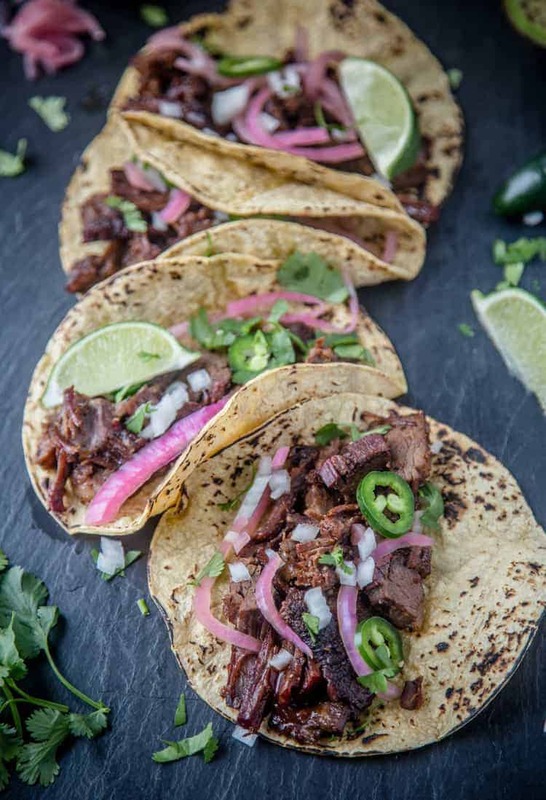 Though we have dozens of great uses for leftover smoked brisket (see below), tacos are definitely a go-to and one of our favorites! I mean, who doesn’t love a taco night?! We’re using smoked brisket for these tacos, but you can use whatever kind of brisket you have (oven cooked, crockpot, I won’t judge). But of course you can’t deny the amazingness that is brisket slow cooked for hours and hours in the smoker. 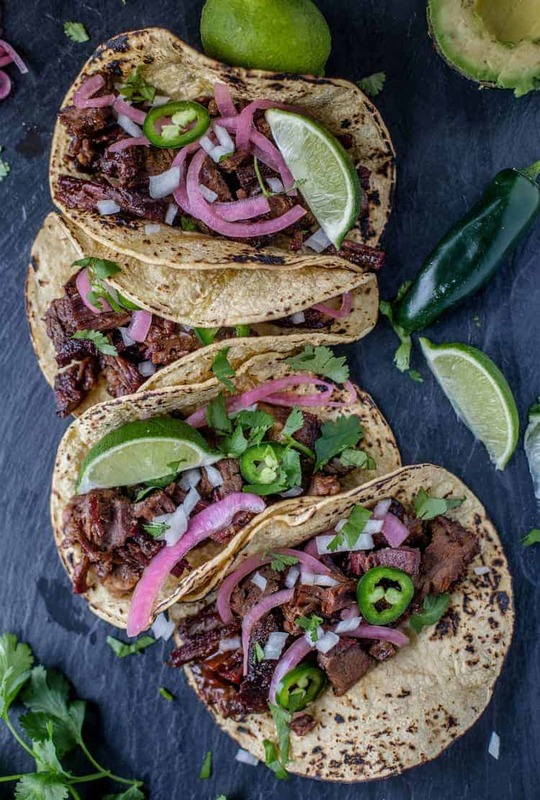 Best toppings for brisket tacos? You can load them up with whatever you want, but I don’t want to drown the flavor of that slow cooked delicious smoky meat. So we’re keeping it simple with pickled onions, chopped white onions, jalapeño slices, herbaceous cilantro, and a squeeze of lime. You can also make a simple pico de gallo instead of the onions and jalapeño, or top with this easy blender salsa. A simple and delicious use for leftover smoked brisket. 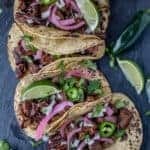 Easy Smoked Brisket Tacos! Heat up your tortillas. I like to warm them up over a hot grill. But if you don’t have one handy, my next favorite method is heating them up over my gas oven, like pictured. It gets the tortillas nice and warm. Load the tortilla with re-heated leftover brisket and any additional toppings. Squeeze some fresh lime over the top. 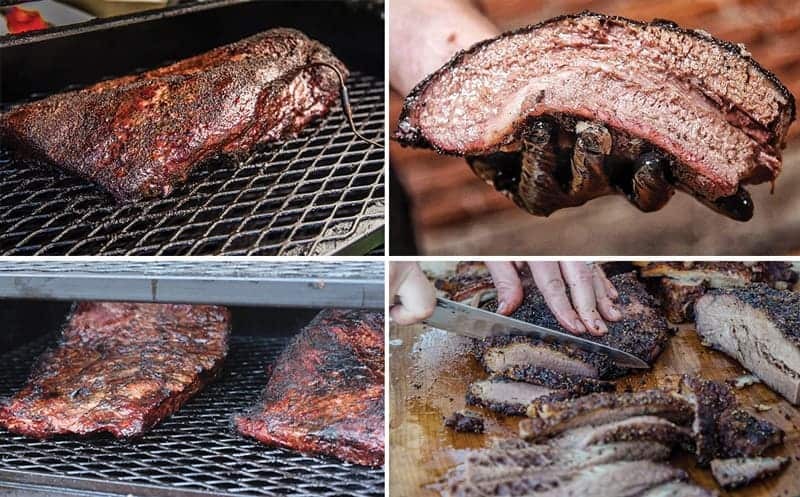 Looking for a good smoked brisket recipe? Start here, with our Smoked Brisket. Want more uses for Leftover Brisket?